Tea party is not only meant for small girls to celebrate. Even the women or mommy folk could gather together on a Sunday evening in good attire to nibble on some snacks over a cup or more of tea and share some chit chat together. You may have many ideas to invite your friends like mailing a letter in linen paper with the invitation detailed on it. Or you could even deliver them in hand writing your invitation in decorative papers. The easiest option would be to send Tea party online invitations with online invitation portals like Yoovite. Decorations always keep any party attractive. For decorating your tea party, you could think of the best tea set you have at home or if you have some extra money, you could spend some to get one for the occasion. Also deciding on the table arrangements like tablecloths, tablemats, etc is another task. Choosing the best colors and neat tablecloths would complete decorations for tea party. You can choose a color as the theme for the party and make your arrangements accordingly. Another prime matter to be decided is whether the tea party should be organized outdoors or indoor. 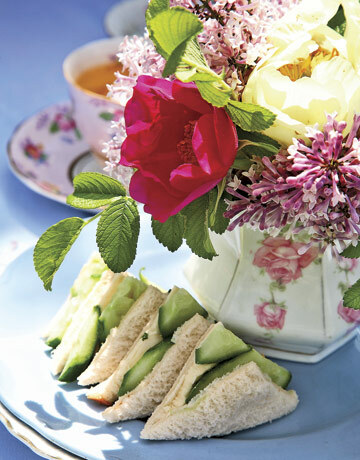 If it is an outdoor tea party, ensure you have a big umbrella to protect all around the table from the hot sun. Also, take care to choose an airy and pleasant location. Simple sandwiches, Samosas, chaats, Cutlets, Chicken Lollypop, Tiny cookies, small biscuits dipped in assorted jam, some good crunches and nice quality tea would make your tea party complete. 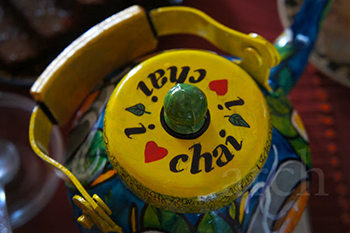 To make your tea party different, you can organize a variety of teas available in the market for the party. Also, arrange cream, sugar, honey and lemon for your guests, so that they can add flavor as per their taste. You could add variety to cream, sugar and honey as per availability in your market. With all set, you could just relax with your friends and relatives over your cup of tea for the tea party.